As we continue our drive through July we’ve been met with some typical situations in the world of Walleye fishing. Water temps have shot back up to familiar territory and currently sit in the mid 70’s. While temps increase Walleye fishing tends to decrease, Walleye aren’t one to shy away from warm waters but they do like to take a siesta in deeper cool water for a majority of the day, as a rule of thumb that I’ve often used – if it’s pool weather, go swim, it’s really tough to sit in a boat in scorching heat trying to catch a fish that isn’t going to cooperate. This time of year brings a shift in resort guests for us, with many of our early season fisherman returning with their families to take advantage of the “other” things to do in the Walker area besides getting hooks snagged on the bottom of the lake, there is more leading kids to the playground and pool and settling for the few hours of fishing their allowed. You know how it is when the boss is with. While Walleye are being their usual stingy self for the couple of months that temps top out the mercury, Northern Pike and Bass are more than willing to give you a little excitement, of if you’re into fishing for Muskie A LOT of excitement. Head into weedy bays from Uram, Miller and up into Sucker and Agency – bring the spinner baits, poppers and spoons that you rarely use and give them a try for something different, I’m sure most anglers won’t want to hear this… there are other fish in the lake besides Walleye. Leech Lake has an ever-growing population of Small Mouth Bass and they fight like nothing you’ve caught before, right after setting the hook they head for the clouds making multiple jumps and runs, they are a blast. Leech Lake is a very diverse lake, I recommend trying areas of the lake you’ve never been too before. The main lake basin is mostly rock, sand and gravel and with depths that average around 25 feet deep. Take a trip into Walker Bay or Kabekona Bay with depths topping out at over 140 feet deep and massive patches of weeds, reed beds and lily pads, it feels like a completely different beast, and as fishing goes, weeds attract small fish which attract bigger fish which attract me. 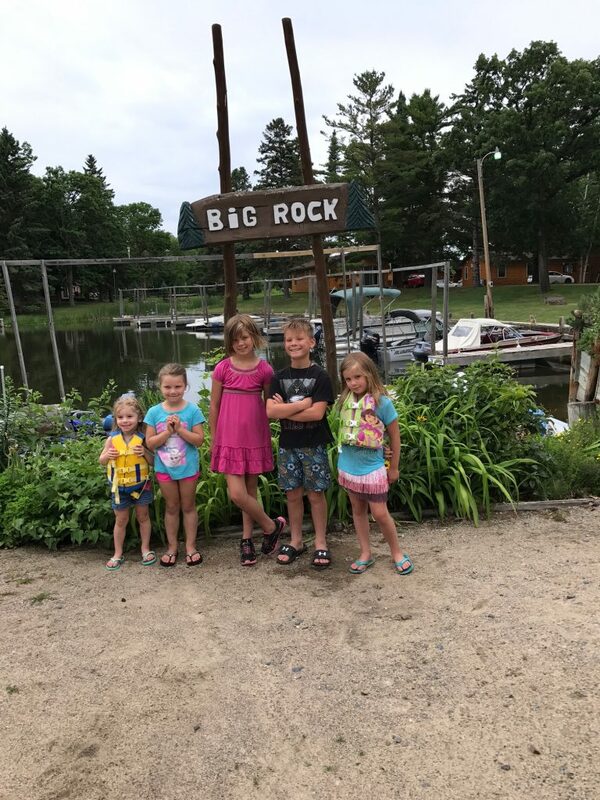 Featured image up top is of the Kloos and Emery children from Elko and St. Paul, MN – the kids fishing tourney was only small in attendance, but large in catches!